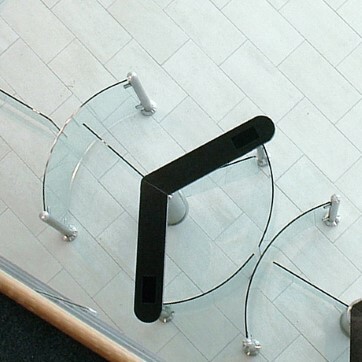 Glass two-leaf gate or three-wing glass turnstile. A grained or polished stainless steel motorised column with three glass wings, curved glass, steel curved handrails and material options for the handrails complete the offering. Flow Rate: Insertion Type Reader - up to 20 passages per minute, Swipe Type Reader - up to 30 passages per minute, Proximity Reader - up to 35 passages per minute. Identification Method: ​Push button, card reader, push bar, remote control.